On January 16, 2016, the Republic of China will hold an election for its 14th term President. Unprecedentedly, women now seem to be given a chance. 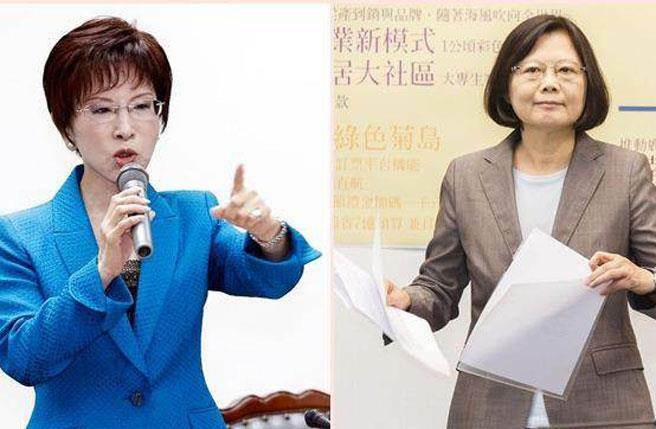 However, according to the US commentators, DPP Chairwoman Tsai is conceived as a shoo-in, while KMT Candidate Ms. Hung as Legislative Yuan Vice Chair is forgotten and treated as past tense. However, the international community poses this essential question: Despite all the negative portrayals of the KMT, can DPP candidate Tsai steer Taiwan into safe waters and keep all neighboring countries without war strife? Even with all the guarantees by Ms. Tsai, the general sentiment is trepidation about the pro-Independence candidate taking control of Taiwan. Since 1949, with the excellence of ROC as a peacemaker and the prudence of older Nationalists’ works, across the Taiwan Strait, PRC never ventured to make a serious bid to take over Taiwan. It is not just Fengshui, but the political climate has indeed changed. Last year’s November 29 midterm elections were a coup d'état signaling the end of the practice of the passing down offices to sons by old elite KMT families. In this case, I believe this was good for KMT, although unfortunately it also allowed the DPP ethnic hatred to rear its ugly head. The large web of KMT personnel has been weakened and decimated after years of deliberate nepotism. However, after the failure of all the years' plots to elect the sons like former Chairman Lian and Wu, now KMT is in a void state, except for a woman named Hung, the daring lady who wants to challenge DPP, revealing that the DPP’s true motivation is to remove ROC and declare Taiwan Independence. So over the years, those secretly harboring hate against the KMT will finally reach to this converging point, hence, there will be a dangerous showdown on the horizon. Recently, CSIS Bonnie Glaser at an Atlantic Council-held Taiwan Election conference gave the benefit of doubt to Ms Hung's running as a KMT candidate despite that her father was persecuted in the White Terror era. Research Note: Ms. Hung's father came from mainland China, and belonged to the Transportation Department personnel, working in a sugar plant. The plant manager was executed under suspicion of communicating with the Communists as a spy. For many years he could not find a job, although later he worked in the legislature as a clerk to draft proposals. Ms. Hung's mother is a local Taiwanese and had to do menial work to support the family. Indeed, it is a warranted and justifiable question. However, I must say it is forgivable for a high school student to have that question, but given her scholarly statue, it is a disappointment as she needs to understand the depth of an issue in politics. This is like after Republican McCarthy persecuted some during the Red Scare era, asking why there are so many Republicans who still want to run for office. Don't you remember the White Terror victims list mostly was to suppress KMT’s good credible side who made great contributions? You condemn the good democratic side of the KMT and lump them with Chiang Kai-shek in the authoritarian basket. This is either a cruel joke or a detrimental mistake and great injustice. 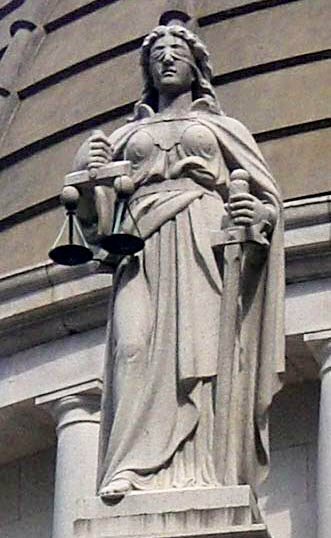 Lady Justice is Blindfolded, holding scales, all are given equality under God, no matter who you are, and what party you are affiliated with. The US concept of justice is that it is impartial, regardless of race, wealth, or political party, as symbolized by the portrayal of Justice as a blind person. This standard should be applied to parties such as the KMT, they should not be smeared and treated as the past tense, without being given a chance. To remind US think tanks such as CSIS and New York Times when sponsoring political candidates or reporting a foreign election that having fair impartial elections is the essence of a democratic society.